There are Dozens 0f Websites to Post Real Estate Videos and Rich Media. The Web has become the most active medium for finding homes and property. Over 90% of consumers now view properties and finds Agents online. Better technology and internet speed has enabled the user to go far beyond single home front photos to virtual tours, slide shows and Video. There are now over 50 Websites to post real estate videos and podcasts to showcase your properties. Video is the most compelling visual marketing medium, combining movement, sound, music and action to engage and compel potential clients. REALTOUR Productions provides for fast and cost effective digital video production for all leading types of media and formats. We can create everything from simple photo collages to virtual tours depending on your budget and needs and post the finished product on the most important Real Estate sites. Contact us today to get your Properties SEEN and SOLD! REALTOUR Productions can produce online videos and supports all leading streaming video technologies; Windows Media, Real Networks, and Apple QuickTime. Visual content provides the best return on investment for your marketing dollars because it can be used across a variety of media. REALTOUR Productions can produce or work with your existing partners to present your visual marketing in almost any format necessary to reach your clients. Videos and flash shows can walk through guided property tours, community tours, promotional videos, training and "how to" videos, recruiting and documentary videos as well as Agent Promotion Videos. REALTOUR Productions utilizes state of the art camera and digital editing equipment from leading manufacturers such as Sony, Avid, and JVC. Our videos are can be produced for the internet and CD-ROM's/DVDs. The videos can also be used for Television and other video applications. REALTOUR Photographs have the power to grab people's attention; affect, move, and motivate potential customers to take action. Photographs significantly increase the perceived value of a product. All photographs in both web optimized (72dpi) and print-ready (300dpi) versions. Images are then optimized and enhanced by professional Image Specialists at REALTOUR Studios to ensure striking quality images that make an impact on viewers. Includes: Outside (front, sides, back) and Inside home. Digital Photos - 100. Video - 2 hour Shoot of Entire Property. Up to 90 minutes of raw digital footage. Includes: Outside (front, sides, back) and Inside home. Digital Photos - 100. Video - 2 hour Shoot of Entire Property. Up to 90 minutes of raw digital footage. Edited and complete Property Video 3-5 minutes with Voice over, Music backround and Titles. 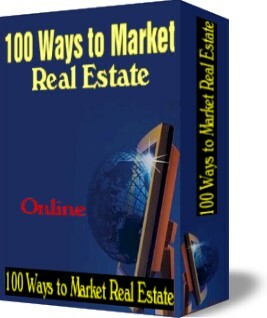 Includes: Listing Your Media (Video or Slide Show) on the top 30 Real Estate Video/Podcasting Sites. Includes: Edited and completed Property Video 3-5 minutes with Voice over, Music backround and Titles. Includes: Editied and completed Property Flash Presentation with Voice over, Music backround and Titles options.